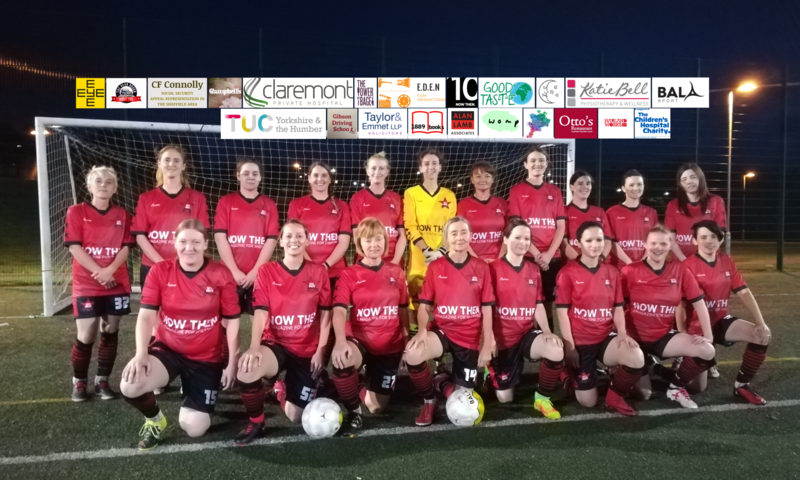 With their first Sunday without a game since they started the season, the “red stars” of AFC Unity have been focusing on training with coach Jonny Hodgson – additional coach Olivia Murray recovering from a knee operation after a re-aggravated injury as a player, sustained in pre-season. Manager Jay Baker has seen this as an opportune time to regroup. Several social activities have provided bonding experiences for the team, too, and the manager, who is heavy on community management experience but light on sporting competitiveness, admits that helps. But ultimately, after going four league games without a win, the manager again took responsibility for some recent results not going their way, and began making changes, the start of which were already apparent in AFC Unity’s 5-2 cup loss to the Division Two development side of Sheffield Wednesday just over a week ago. “Those two draws and two defeats were part of an experiment where we focused on individual development and morale, rather than collective morale, and the Sheffield Wednesday game proved that if we all pull together for the greater good, we can get goals even against good opponents,” the manager added. And he vows to keep his promise of continued improvement with the upcoming league games. “Oh, the best is yet to come, I’ve no doubt about that,” he said. After surprisingly knocking the New Bohemians from the Krukowski Cup, AFC Unity’s next league opponents, Greasbrough, are also seeking to end a run of four winless league games. 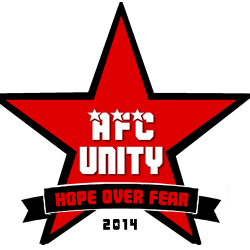 The league has seen several surprise results, and AFC Unity won at New Bohemians 7-2, only to be held to a 3-3 draw at home in a game that the New Bohemians could very much have won. Yet Greasbrough then eliminated the New Bohemians from the cup last week. “This will be an exciting game to watch because both they (Greasbrough) and us are underdogs, hungry for the victory, with good sporting attitudes, and whoever wins will have definitely earned it,” said Baker. AFC Unity play their last game of 2014 at home, Hillsborough College, on Sunday, December 14th, against Greasbrough. Kick-off is 2pm.